Creator of targeted memory emotional bond removal. International Suicide Prevention expert Matthew D. Dovel a near-death experiencer, Hollywood star consultant and, the president of International Suicide Prevention (ISP), a 501(c)(3) public charity. Providing real self-help, for the first time, to the suicidal, bypassing the number one reason why people will not seek help, stigma! For 31 years, IANDS has been encouraging independent research into NDE's and educating the world about near-death and similar experiences -- and their effects and implications. It has been the foremost consultant organization on the subject to radio, television, film, and the print media; it provides publications and conferences, sponsors local groups, has sent hundreds of speakers to audiences worldwide, and reaches out in person and online with reliable information and support. Chuck Morse Nationally Syndicated Radio Show, U.S.A.
Channel 8 News Now Las Vegas, Nevada U.S.A.
New Self-help now available online for the suicidal. Go to: http://www.supportisp.org to learn more about (4 Phase). Matthew Dovel: creator of the 5 minute suicide removal method. And, 5 new ways to address suicidal thoughts that are unconventional and holistic. Matthew Dovel, is a best selling author on life after death, and he is an international suicide prevention expert working for ISP (International Suicide Prevention) a 501(c)(3) public nonprofit charity. Talking about the new first of its kind self-help pocket "Suicide Prevention Guide Booklet" endorsed by mental health experts. Hosted by "Andy Kaye" News-Public Affairs Director. New published work - "Break through in suicide prevention"
Advanced suicide prevention training never before seen in the industry. Matthew Dovel: best selling author on life after death and suicide prevention expert. Matthew Dovel: International suicide prevention expert and best selling author on life after death, heaven and hell. Matthew Dovel will be on the highest rated TV show on the Biographical Channel, 'I Survived, Beyond and Back' November 6, 2011. Matthew Dovel, also known as the President of International Suicide Prevention (ISP), accepted a grant from the students at Mojave High School for $1,000.00 to continue its work in the community to prevent suicides. Funds were provided by We R Community. The Public Education Foundation. From left to right; Matthew Dovel, Mojave HS student Ethan Ventura. January 28, 2009 channel 3 NBC Las Vegas, Nevada 4PM, 5PM, 6PM. Matthew Dovel: President of ISP (International Suicide Prevention) a suicide prevention expert. ISP is a 501(c)(3) public nonprofit charity. Addus HealthCare - Matthew Dovel, will be teaching pre-screening, awareness, and suicide prevention. Matthew Dovel is an international suicide prevention expert teaching cutting edge technology addressing; post traumatic syndrome, depression, post partum syndrome, suicidal thoughts, post suicide trauma. He also has over twenty years of field work as a trauma scene specialist. Matthew Dovel interviewed for article. Matthew Dovel is a suicide prevention expert and is also known as a best selling author on life after death. 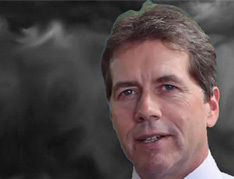 He has had two near-death experiences having visited both heaven and hell. Shaun Daily, BLOGTALKRADIO - Host of TV Talk..the weekday talk radio Today newsmagazine show..Host of Shaun OMac Radio news and comment. Excellence in New Media Award. 2005 Inducted into the Honor Society of Broadcast Professionals Sigma Delta Omega / National Press Association member. Matthew Dovel, a suicide prevention expert working for ISP (International Suicide Prevention) a 501(c)(3) public nonprofit charity discusses ways to overcome depression and suicidal thoughts. Distributed throughout Las Vegas, Nevada. Matthew Dovel went to Fairbanks, Alaska this April to teach suicide awareness and its prevention. April 21-25, 2008. 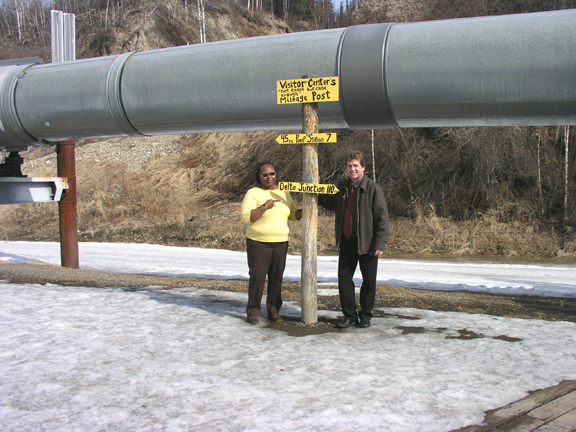 Montean Jackson (Gang awareness head for North Star Borough School District) & Matthew Dovel visit the Alaska Pipeline in between suicide prevention workshops on April 24, 2008. (Flyer for events). Matthew Dovel, international suicide prevention expert, and the president of ISP (International Suicide Prevention) a 501(c)(3) national nonprofit public charity. Steven Stosny, PhD, is the founder of Compassion Power. 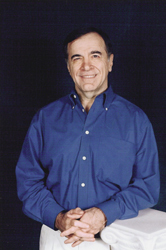 He has written many books and articles on anger and relationships and has been featured in most major print and broadcast media, including several guest appearances on the Oprah Winfrey Show. His interest in the healing power of compassion grew from his childhood in a violent home. Dr. Michael A. Walker-Jones, An honor graduate of the University of Rochester, New York in Curriculum, Human Learning, and Education Policy, Dr. Walker-Jones has taught at the pre-school, elementary, high school, undergraduate, and graduate school levels. As teacher, education policy advocate and promoter of non-violent conflict resolution for the last thirty-three years he continues to work with young people and adults with Mr. Steve Nawojczyk in the area of gang awareness and violence prevention. Dr. Walker-Jones he has taught in the public schools of Rochester, New York and worked for the teacher education associations of New York, Kentucky, Arkansas and Massachusetts. Visit his http://www.gangwar.com to learn more about the vital work Dr. Michael A. Walker-Jones teaches. Dr. Walker-Jones is a staunch advocate of the public schools and the power of education as tool for life and personal achievement. Event was covered by local news affiliates of CBS, The Daily Miner (newspaper), and Channel 11 Fairbanks news. Fairbanks North Star Borough School District. Thousands of lives are going to be changed through this educational event. Matthew Dovel, suicide prevention expert interviewed while visiting Fairbanks, Alaska. Reflections: Part I, "A panel of leaders from various religious denominations will discuss views of an afterlife, and take questions from the audience." Reflections: Part II, "Join two trauma surgeons, a retired psychologist and an author and researcher of near death experiences to examine what happens when a person dies, then comes back to life." Reflections: Part III, "A Personal Experience of Life Beyond" Matthew Dovel, "My Last Breath"
Matthew Dovel, author of "My Last Breath," will share his two near death experiences (one in heaven, one in hell) through excerpts from his July "20/20" and "Good Morning America" appearances, and talk about how his life was changed by both. Heard on 2,200 radio stations with 150 million listeners! Matthew Dovel, Near-death experiences heaven & Hell, and his new suicide prevention techniques. Suicide prevention expert. 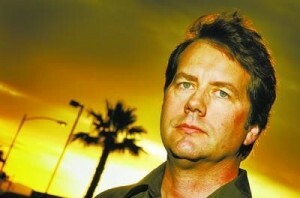 Suicide prevention expert Matthew Dovel, in Las Vegas, Nevada. Community events "Charity concert to benefit post-suicide family support"
Matthew Dovel: suicide prevention in Las Vegas, Nevada. Rev. Juliet Nightingale to interview Matthew Dovel live on "Toward the Light"
Matthew Dovel will be talking about his two near-death experiences and suicide prevention, second part of Mr. Dovel's life after death testimonial. Matthew Dovel will be talking about his two near-death experiences and suicide prevention, listen to his testimonial. Bill Weir - interview with Mr. Dovel promoting show on 20/20 tonight! "Hell, the fear and fasination"
Viewed by over 6 million people, do you believe in hell? Date: July 13, 2007- pre-recorded interview. Locations: The Las Vegas Strip and the House of Blues in Los Angeles. "ABC's hit TV show 20/20" airs “this summer”. Mr. Dovel's testimonial on his visit to heaven and hell. Talking about his near-death experience, where Mr. Dovel goes to hell for three days. Matthew Dovel will be promoting ISP (International Suicide Prevention), to local businesses in Las Vegas. Channel's 30 & 62 Pahrump, NV. Will air "live" on 10:00 AM to 11:00 AM. Matthew Dovel, talking about his best selling life after death book, "My Last Breath". Mr. Dovel conducting a workshop on suicide prevention, and discussing life after death. Mr. Dovel giving a testimonial at Celebrate Recovery, is there a heaven? Is there a hell? Find out tonight. March 16, 2007 - U.N.T. is conducting a research project on Never-Death Experiences and suicide. Project head - Janice Holden, Ed.D., LPC-S, LMFT, NCC, Professor, Counseling Program. Mr. Dovel, giving his testimony for researchers working on the after life. Video taped for universities internationally. January 30, 2007- recorded interview. Locations: The House of Blue's on the Sunset Strip. "ABC's hit TV show 20/20" airs “this May”. Interviewer: Bill Weir, host of "Good Morning America". 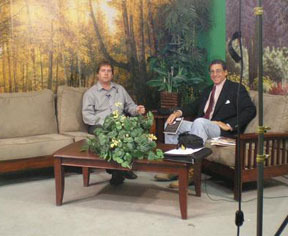 Interview taping to be aired in July, 2007. January 29, 2007- recorded interview. Locations: The Las Vegas Strip and Fremont Street. Channel 30 & 62 Pahrump, NV. January 1, 2007 at 4:20 pm. www.klav1230am.com. It also airs in Bermuda, Phoenix, New Mexico and Colorado through syndication. Talking about near-death experiences and suicide prevention. He's out on the streets with a message of hope. National "this sign is 4u" campaign starts on the first of January, 2007. Article in the Las Vegas Review Journal - "The View"
Interview cover suicide awareness and its prevention. At the 104th floor of the Stratosphere Hotel & Casino. Suicide prevention charity dinner, dinners $500.00 per plate. Interview by Andy Kaye, News-Public Affairs Director. Talking about suicide awareness, its prevention and ISP's Holiday Charity dinner. Chapter. The 5k walk will take place at 10:00 and conclude at 12:30 PM. Matthew Dovel, will be saying a few words of encouragement, collecting signatures for a new license plate in Nevada promoting suicide prevention & selling tickets to ISP's Holiday dinner. Montreal, Toronto, New York, Miami, Japan. Article talking about suicide and the Hollywood experience. 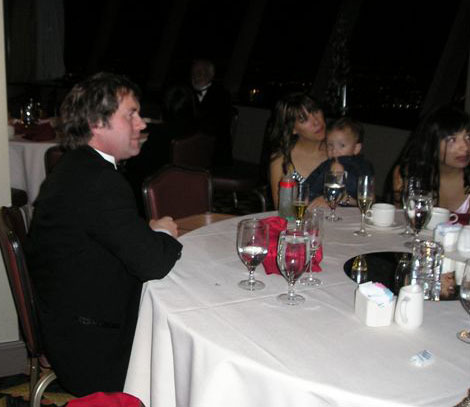 Talking about suicide prevention and ISP's December 12, 2006 Holiday dinner. November 14, 2006 at 4:20 pm. "The Amie Jo Show" airs “Live” in the Las Vegas Metropolis, where there are potentially 1.7 million people listening to each airing. The show also streams live worldwide via the Internet on the radio station’s website at www.klav1230am.<span class="correction">com. It also airs in Bermuda, Phoenix, New Mexico and Colorado through syndication. Talking about Holiday Black Tie Charity Event, near-death experiences and suicide prevention. Talking about near-death experience and suicide prevention. Hosted by: Mr. Bill Bainbridge Health Educator. Huge FREE barbeque, music and surprise celebrity. Will air on August 6 - 11:00 am. Hawaii is one of the most beautiful places on earth! Will air on July 30 - 11:00 am. Will air on June 20 / 11:00 am. May 13, 2006 / 10 am to 1 pm. Sponsored by, The Learning Annex. abusing alcohol or drugs. Solutions for the depressed and suicidal thoughts. The five steps discussed in detail on how to live happier and healthier. Will air on April 26, 2006 at 5:30 pm. "The newest consultant to the Hollywood stars, after the party is over?" The Cree reservation of Oujé-Bougoumou, Canada hosted Matthew D. Dovel to conduct two workshops, over a two day period, for a tribal intervention to educate its aboriginal people, and its youth, on suicide awareness and prevention. A great honor. We can only judge things in life by the results! 1 suicide attempt each day, and one suicide per month. 1 suicide attempt each MONTH, and ZERO suicides. The U.S. Army contracted Mr. Dovel for instructing at Fort Benning, GA. Assignment was to train, and educate thousands of troops, and military support personnel; such as team leaders, counselors, psychiatrists, medical personnel, and Chaplains on warning signs of alcohol abuse, drug addiction, suicide awareness and their preventions during national depression screening week. These Key personnel were heading to, and coming from, an active military combat theater in Afghanistan & Iraq. Ranked #23, on Amazon.com book reviewers. Ranked #12, on Amazon.com book reviewers. A very personal interview with Mr. Dovel. A must read! Article discussing "My Last Breath" and "Suicide Prevention." Discussing book and suicide prevention. Article discussing book and NDE's. Article by Marc David, discussing suicide prevention. Presented by: Nevada Humanities, Henderson District Public Libraries, City of Henderson. Sponsored by: Las Vegas Review Journal, Las Vegas Mercury, Barnes & Noble Booksellers, Cox Communications, Nevada Arts Counsil, National Endowment for the Arts, America West Airlines, Clark County Parks and Community Services, Nevada Public Radio, University of Las Vegas, City of Las Vegas, The Art Institute of Las Vegas. New Books (and other media) of Interest to Anomalists. My Last Breath, has made the top twenty five suggested books for 2004. Matthew Dovel donated 10 autographed books to give out free to the first 10 people that donate at least $100.00 to Ronald McDonald House. Matthew Dovel personally raised $1,000.00 dollars for this event in one hour. "Lets talk with Clint Greenway" radio show. Hosted by "Richard Les Dugan"
USA Radio Network "Day Break"
"Louisiana Live" The Louisiana Statewide network. 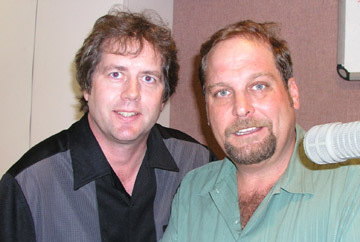 "The Bob Dornan Show", Talk Radio Network. Hosted by "Bob Dornan", U.S. Congressman 1977 - 1997.
http://www.kmed.com "Total information AM" Hosted by "Bill Meyer"
http://www.weol.com "AM Elyria" Hosted by "Larry Whitler"
http://www.woca.com "AM Ocala" Hosted by "Larry Whitler"
KEUN-AM "Coffeetalk" Hosted by "Shane Marquardt"
KLAV-AM Broadcast worldwide "Soul Speak" Hosted by "Debbie Hall"
http://www.arches.uga.edu "The Morning Drive with Sean Gibson"
Matthew Dovel author of "My Last Breath".